The biggest and first ever Rustan’s Supermarket branch in Mindanao opens today at the Centrio Ayala, Cagayan de Oro City. City Mayor Vicente “Dongkoy” Y. Emano expressed his pleasure as he sees the successive influx of investors, the latest of which being Rustan’s, as a positive indication of growing investor confidence in the economic growth of the city. 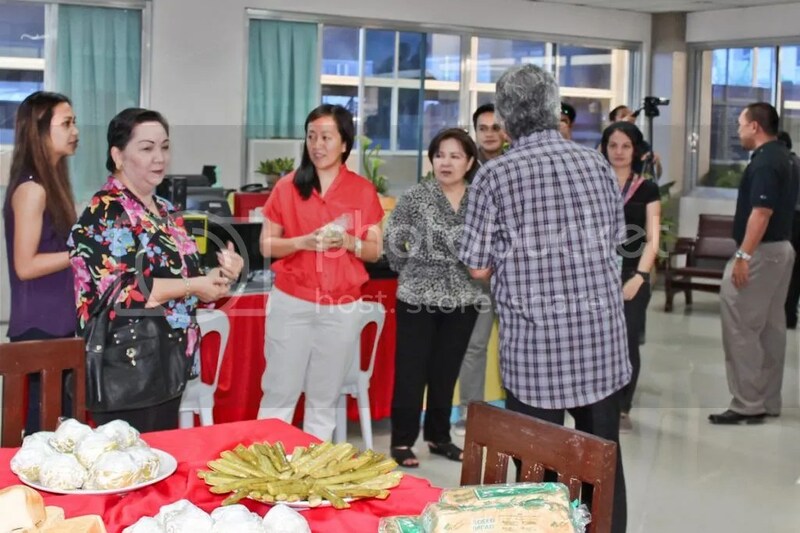 “Nag-paila lang nga ang pagbukas sa Rustan’s Supermarket dinhi sa atong dakbayan usa ka positibong indikasyon sa dakong pagsalig sa mga negosyante sa paspas nga ekonomikanhong kalamboan sa dakbayan sa Cagayan de Oro,” the mayor stated. City Mayor Vicente “Dongkoy” Y. Emano personally attended and warmly congratulated the newly elected Governor of Misamis Oriental Yevgeny Vicente ‘Bambi’ Emano during his proclamation by the Provincial Board of Canvassing yesterday, May 16, 2013. The mayor reiterated his certainty that the people of Misamis Oriental will enjoy sincere service under the leadership of Governor Bambi Emano, as he thanked all the supporters for bringing victory to the new governor. “Makalaum ang tibuok katawhan sa Probinsya sa Misamis Oriental nga paningkamotan gayud ni Gobernador Bambi Emano, uban ni Bise Gobernador Joey Pelaez ug mga kauban, nga matunol gayud ang tiunay nga serbisyo ug maligdong nga pamunoan sa pang-gobyerno. Sa mga katawhan sa Misamis Oriental ug sa tanan nga misuporta kang Gobernador Bambi, daghan kaayong salamat sa inyong pagsalig ug suporta”, Mayor Emano stated. 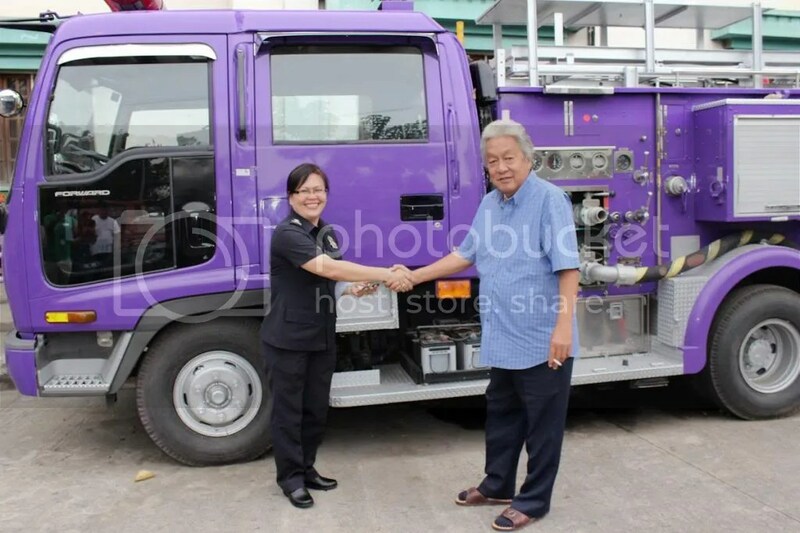 City Mayor Vicente “Dongkoy” Y. Emano officially turned over the keys of the purple fire truck to City Fire Marshal C/Insp. Shirley Teleron (left), May 9, 2013. 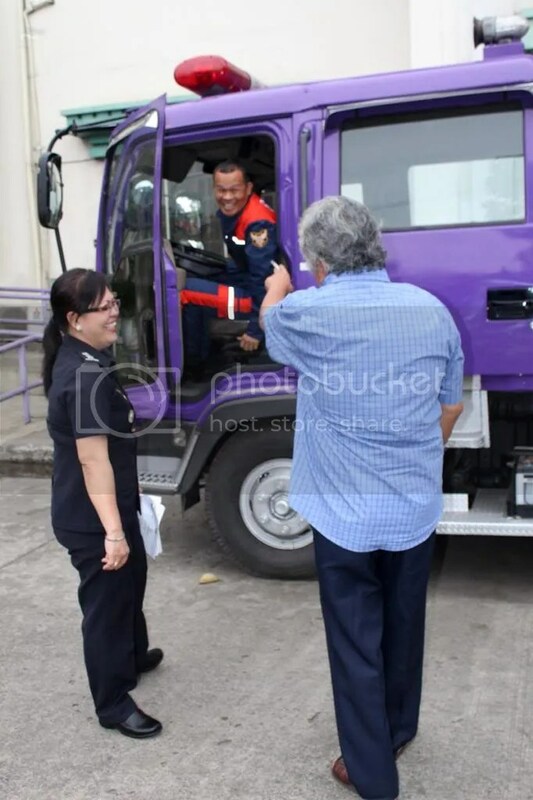 The fire truck was donated and delivered to the City Hall premises by the Unitop Department Store last month. 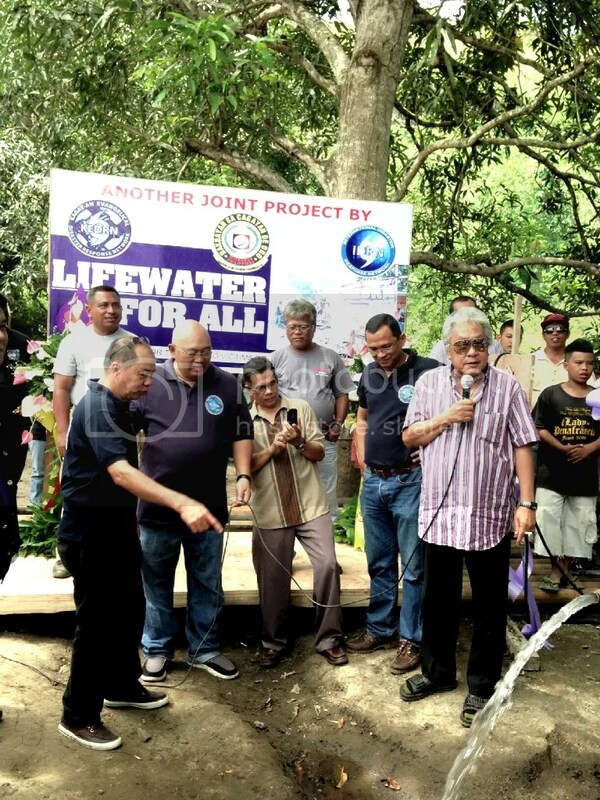 Sufficient and abundant supply of water are now being enjoyed by almost 200 families at Mahogany Village in Calaanan Relocation Site as Mayor Dongkoy Emano and officers of the Kagay-an Evangelical Disaster Response Network (KEDRN) recently led the blessing of the newly-opened deep well initiated by the evangelical group. 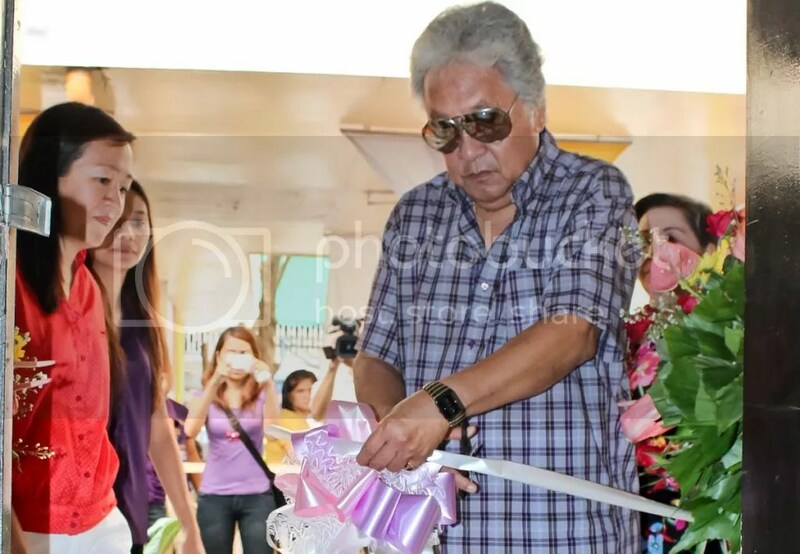 The Cagayan de Oro Youth Center, located at the ground floor of City Hall’s new west wing building formally opens as City Mayor Vicente Y. Emano ceremonially cuts the ribbon shortly after this week’s flag raising ceremony. Originally created to serve as a drop-in and referral center, and a peer helping hub for young people, it has now expanded to offer library services, city college tutorials, livelihood skills training, and spiritual enhancement for the city’s youth. With the mayor are Social Services Chair Councilor Nadia Emano-Elipe, SK Chairman Sunshine Obsioma, and Family Relations Chair Councilor Annie Daba. City Mayor Vicente “Dongkoy” Y. Emano, together with Assistant CDRRMO Eng’r. 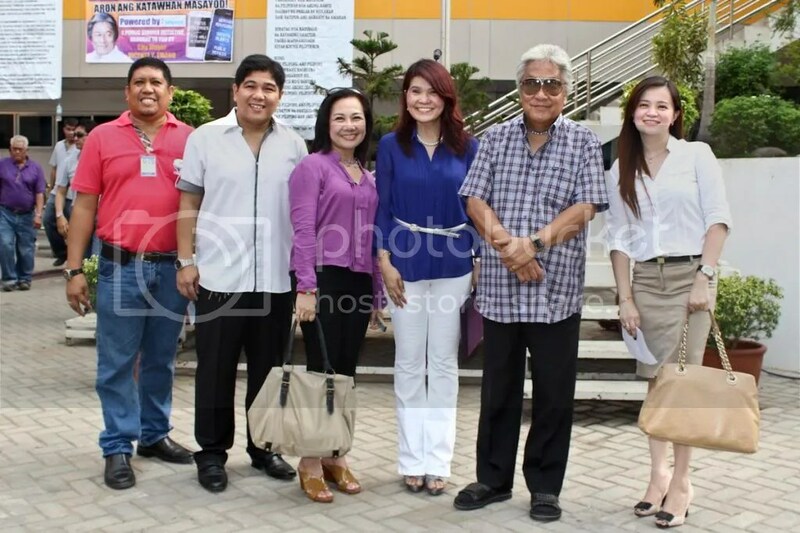 Armen Cuenca (left), strikes a pose with representatives of SMART Communications led by SMART-Visayas/Mindanao Marketing Manager Ms. Raquel Aquino (3rd from right) after the launching of the CdeO InfoboardInfoBoard during this week’s flag raising ceremony @ the City Hall. The Infoboard is a free service provided by Smart as a tool for timely information dissemination especially in times of disaster or emergency. Smart approached the city government last year to offer this free service especially since the city had just been through some devastating disasters. See this post for more. City Mayor Vicente “Dongkoy” Y. Emano receives a Plaque of Appreciation from Ms. Ella Ubanon (representing the Office of Archbishop Antonio Ledesma) for his support in sponsoring the Internally Displaced Persons (IDPs) in the Sta. Cruz Chaplaincy in PN Roa Calaanan, Cagayan de Oro City. 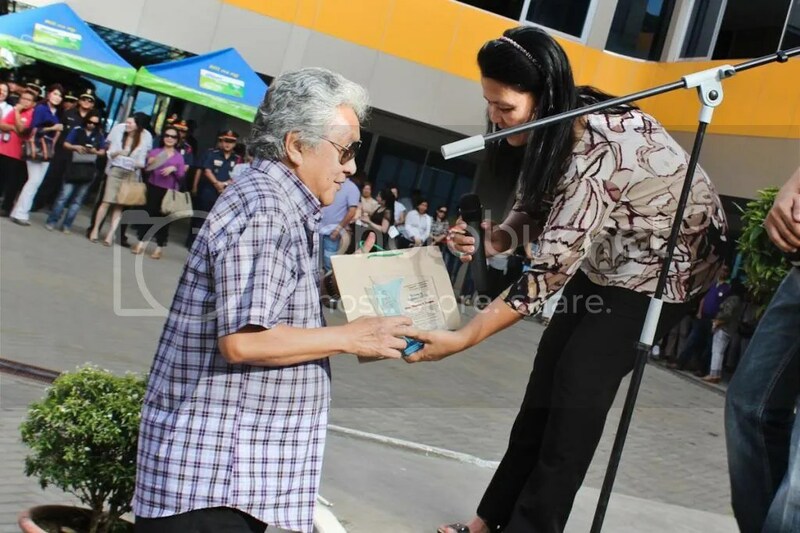 City Mayor Vicente “Dongkoy” Y. Emano expressed his heartfelt gratitude to the more than 6,000 vounteers who showed up in last first of May’s ‘One CdeO, Build CdeO’ drive of the Habitat for Humanity and the City Government of Cagayan de Oro. Due to the united efforts of both private and public sectors, Cagayan de Oro has quickly risen back to its feet after what it has gone through. This last gathering showed how Cagayanons rise up to any call in the spirit of volunteerism. It is hoped that the gathering will garner a place in the pages of the Guinness Book of World Records for the most number of volunteers assembled in three hours to help build houses in the Pagatpat Relocation Site.